The book is a great resource and gift idea for anyone who cares deeply about empowering women. Click on the above picture linkto buy the book. Be sure to write “Midwives For Haiti” in the Book Partner line. 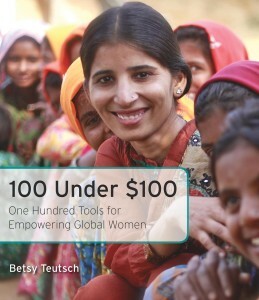 The author, Betsy Teutsch, will ship it directly to you (within the U.S.) and then she’ll send us $10 towards our programs to reduce maternal mortality in Haiti. Win-win.